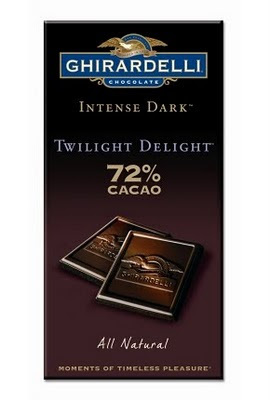 I love dark chocolate too. I will have to try this one. I love the Dark Chocolate bar from Newman's Own but the only place I have found it is Whole Foods. I am so trying that at some point. My splurge? Vegan chocolate chips from whole foods. No Dairy! =) They are delish. Good for you!! You deserved it. I think you need to treat yourself once in a while. Good for the soul. I'm glad to know even Buford Betty "cheats" (even though I hate that word because it implies it was wrong, when it wasn't!) once in a while. ;) Man, I WISH I didn't love sweets. I've been away from desserts (not all sugar - still have it in some things and still eat fruit, just no cake, ice cream, cookies, etc.) I am shocked about how much of it I was eating without realizing it. Even though I track what I eat through my Weight Watchers app, I am bad about just looking at points-value sometimes and not watching the overall health of my diet. Not. good. Your Moo Goo diet is inspirational to me - we're eating different things for different reasons, but you prove to me that you can do anything you put your mind to do! Julie - I hear you on the tracking. I just track by calories (vs. WW pts, but same concept), but half the reason I do is to monitor my intake of vitamins and fruits and veggies. Because if I don't pay attention, I totally do not get the stuff I need. I have to be super intentional about it. It is hard!!! Keep it up, girl! Good for you for enjoying a little Twilight! Mr. P put a bar of that in my stocking last Christmas and it was divine! Getting it at Target TO.DAY. That sounds delightful! I love dark chocolate so much. Will have to try some of this! Love that Twilight! It's amazing how when you have the good stuff, a much smaller amount is satisfying.